This January, for the first time since 1995, the U.S. Department of the Interior nominated two new sites for inclusion on the United Nation&apos;s World Heritage List of places of "outstanding universal value," a kind of Nobel Prize in the world of preservation. The two sites are George Washington&apos;s Mount Vernon estate on the Potomac River, and the Papahanaumokuakea Marine National Monument in the Northwestern Hawaiian Islands. 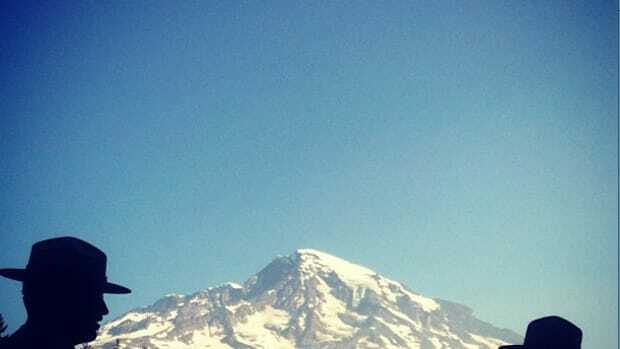 Last year, the Interior Department developed a new tentative list of 14 sites for nomination, replacing a 1982 list that had been gathering dust. U.S. contributions to the World Heritage Fund, which had dropped to zero in 2001, were $700,000 in 2008, the highest ever. 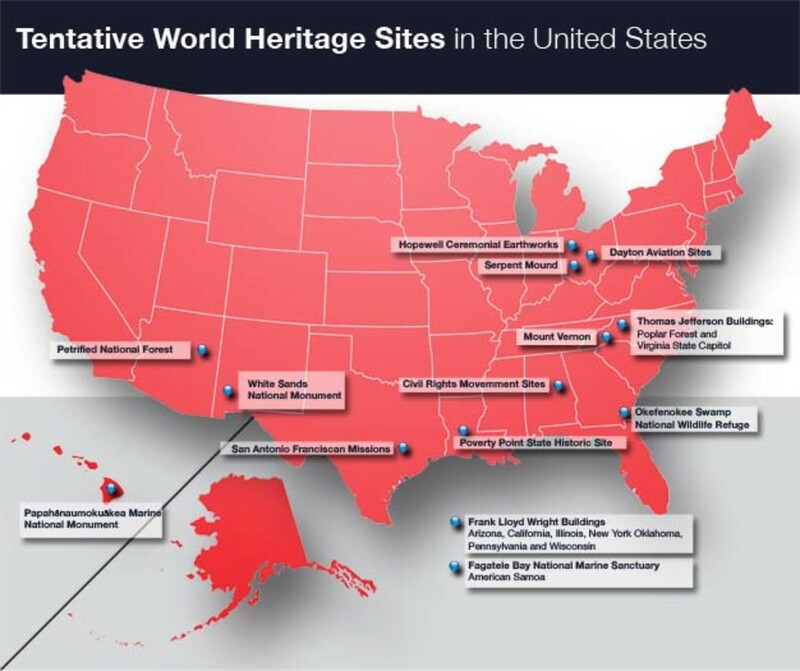 Since 2005, following a lapse of six years, the U.S. has been a member of the 21-nation World Heritage Committee, selecting and monitoring sites and making management recommendations. In 2007, the National Park Service became an associate member of the World Heritage Alliance, a partnership with the travel services company Expedia, Inc. to promote the sites. And this January, "Wally the U.S. World Heritage Wolf" popped up on the National Park Service Web site, announcing a new Junior Ranger Program. "We&apos;ve really gone a long way to re-engaging with World Heritage," said Stephen Morris, chief of the National Park Service Office of International Affairs, who conducts the program for the Interior Department. "We&apos;ve been very actively involved. But I&apos;m not saying we should rest on our laurels and we have nothing further to do." It&apos;s still a far cry from the early 1970s, under then-President Richard Nixon, when the U.S. was the chief architect of and the first country to sign the World Heritage Convention, an international treaty administered by the United Nations Educational, Scientific and Cultural Organization to encourage all countries to protect places of exceptional ecological, scientific or cultural importance. Today, 20 of the 878 UNESCO World Heritage Sites are in the U.S, and 12 of these are national parks, including Yellowstone, the Great Smoky Mountains and the Redwoods. But from 1995 to 2005, studies show, far from promoting the World Heritage program, the U.S. was at best a reluctant participant. In a 2007 paper for Geoforum, Helen Hazen, a geographer at Macalester College, suggests that criticism from nationalistic, anti-U.N. fringe groups, however misled, caused the U.S. to back off, adopting a philosophy of "benign neglect" toward the very program it had once so enthusiastically pioneered. In surveys and interviews at Yellowstone, Great Smoky Mountains, Grand Canyon and Hawaii Volcanoes national parks, Hazen discovered that most U.S. visitors, unlike foreign visitors, had no idea they were visiting a World Heritage site, and park officials were in no hurry to enlighten them. One Yellowstone official told Hazen that even if the World Heritage status came with funding — which it does not, at least in the U.S. — it would be a mistake to accept the money. "I mean, that just feeds the fringe right and starts the (conspiracy theorists) — gets their blogs and Web sites and chat rooms booming," the official was quoted. The National Park Service employees weren&apos;t "dying to hand out leaflets and put up posters," despite their widespread support for the World Heritage program, Hazen said in a recent interview. "They didn&apos;t want to be causing stress among their visitors about who was in charge of the site," she said. "There was this very vocal minority who were very concerned about international intervention in national parks." In fact, U.S. participation in the World Heritage program does not give UNESCO or the U.N. authority or ownership rights over the sites or related land-management decisions. And there are no U.N. "training centers" deep in the wilderness, a rumor that occasionally circulates in the Great Smoky Mountains, according to one of Hazen&apos;s sources. 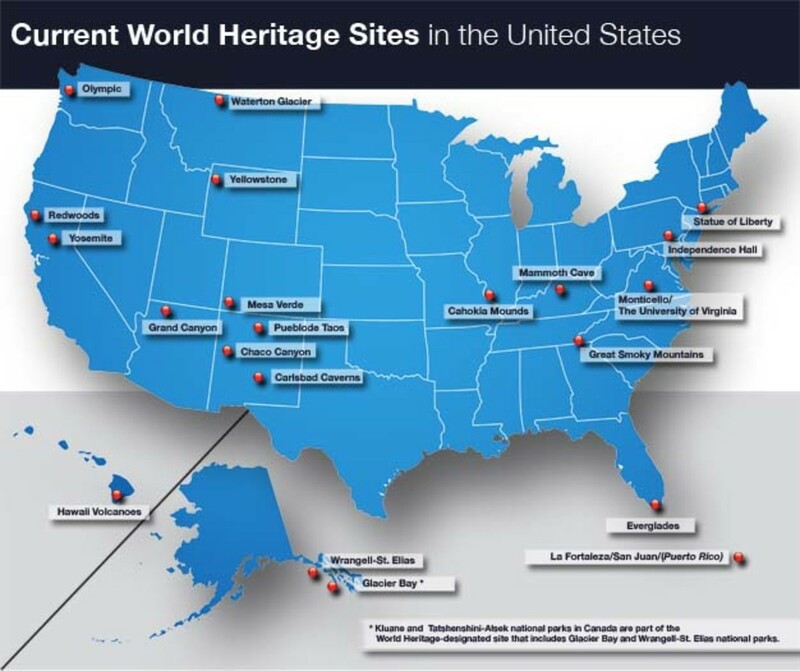 Vocal opposition to the World Heritage designation in the U.S., which flared up in the mid-1990s under the Clinton administration, appears to have largely faded now, but critics in property-rights groups such as the Heartland Institute, a national free-market think tank based in Chicago, say that&apos;s because people don&apos;t know the designation exists. "These are put forth as friendly labels, but the reality is, they open the door for the U.N. and the World Heritage Committee to sway land-use decisions that should be left at the local level," said Cheryl Chumley, a research fellow for the institute in northern Virginia. "Private and local governments are being usurped. Most people aren&apos;t aware that this goes on." It&apos;s true that the World Heritage Committee can influence domestic land-management decisions, sometimes with unexpected consequences. A prime example cited by Hazen occurred in Yellowstone in 1995, after the Clinton administration requested an onsite visit by World Heritage Committee members. The committee listed Yellowstone as a site "in danger," and plans for the expansion of a gold mine just outside the park boundary were withdrawn. Congress compensated the mine owner, but Park Service officials told Hazen the whole affair backfired on them. "We all paid for that attempt because there was so much suspicion generated against the parks," Bob Miller, a spokesman for the Great Smoky Mountains National Park, said in a recent interview. In 1996, and again in 1997 and 1999, the House passed the American Land Sovereignty Act, which would have required Congress to sign off on U.S. designations of World Heritage sites. The legislation directed the Interior Department to determine that no new site would adversely affect private land within 10 miles. Ultimately, however, the bills died in the Senate. World Heritage status is believed to have protected the Redwoods in 1994 from a state highway realignment that would have destroyed up to 275 old-growth trees. And it helped derail a strip coal mining operation proposed in the early 1980s in Canada, near the boundary of Glacier National Park. In 2003, the Bush administration successfully petitioned the World Heritage Committee to remove Yellowstone from the list of sites "in danger." The Greater Yellowstone Coalition, an environmentalist group, protested the move, expressing concern about creek pollution, declining native trout and the ongoing slaughter of bison. "Yellowstone is the world&apos;s first national park," Amy McNamara, a coalition spokeswoman, said this month. "It has an incredible wildlife heritage and more geysers than any other place in the world. We believe it should never have been removed from the danger list." Today, Yellowstone&apos;s World Heritage plaque is discretely displayed in the park superintendent&apos;s office. Tom Olliff, the park&apos;s chief of science and resource management, said the designation does not bring in any funding to help solve the park&apos;s problems, nor does it shine a light on them. There is already a spotlight on Yellowstone, Olliff said, and not because of the World Heritage label. "I&apos;m not sure it helps me do my job any better," he said. "It feels like a teacup of water in the ocean." Mention of the World Heritage designation at the Great Smoky Mountains National Park is confined to a plaque at a prominent overlook, to planning documents, and to conversations with foreign counterparts, according to Miller, the park spokesman. 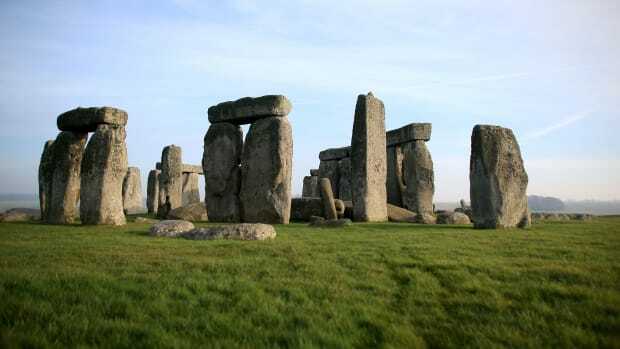 "We&apos;ve never chosen to make World Heritage sites part of our discussion," he said. "It&apos;s often caused more problems than benefits. It&apos;s been real quiet in the last 10 years, but all it takes is one article in an RV magazine and we&apos;ll get a whole bunch of questions, making it seem pretty sinister. We would spend some months responding to what we&apos;re not." At the Papahanaumokuakea Marine National Monument, tourists are not allowed to visit coral reefs or the beach habitats for rare green turtles and Hawaiian Monk Seals, or the 1,000-year-old Polynesian shrines on two islands. The public at-large may go to only one small place, 50 people at a time — Midway Atoll, the site of a national war memorial and the largest tropical seabird rookery in the world. There is no recreational fishing. Commercial fishing is limited and scheduled for total phaseout by 2011. Monument managers view potential World Heritage status as an opportunity to "take the place to the people, not the people to the place," through documentaries and aquarium displays elsewhere. Also, said Athline Clark, the monument&apos;s state superintendent, they would welcome the chance to learn from international experts in the field. "Networking is the key for us — the ability to have the answers and solutions from the larger global community," she said. Morris, the National Park&apos;s chief of international affairs, said that for now, the decision on how and whether to promote World Heritage status will remain up to individual park managers. "I would like to see us make the designation more meaningful in the U.S.," Morris said. "It&apos;s a useful way of letting people know that we&apos;re connected with the rest of the world."